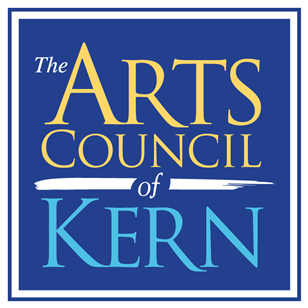 On the first Friday of each month, the Arts Council of Kern features ArtWalk, a family-friendly arts event that showcases Kern County’s best artists. Come enjoy — and buy — the creations of many different types of artists and craftsmen and women. It all happens from 5:00 – 9:00 pm beginning at the intersection of 19th and Eye Streets in downtown Bakersfield. Interested in Becoming an ArtWalk Vendor? No longer accepting applications for May 3, 2019 ArtWalk. Application deadline for June 7, 2019 is May 23, 2019 @ 4:00 P.M.
2. Wait. ArtWalk will contact you via email after receiving your application, usually within a day or so. You will be asked to submit photographs of your work and to submit a signed Release of Liability waiver. Be sure to check your spam folder if you don’t receive a response to your application within a few days. Once your application has been processed, you will receive an email outlining details of your space assignment. 3. Pay. Please pay after receiving an email from ArtWalk confirming your space approval. DO NOT submit payment for a space until you have been notified by ArtWalk that your application has been processed and that you have been approved for a space. Please check your spam folder if you do not receive a response within a few days. Bakersfield Police Department will post “no parking” notices the day before each ArtWalk event. 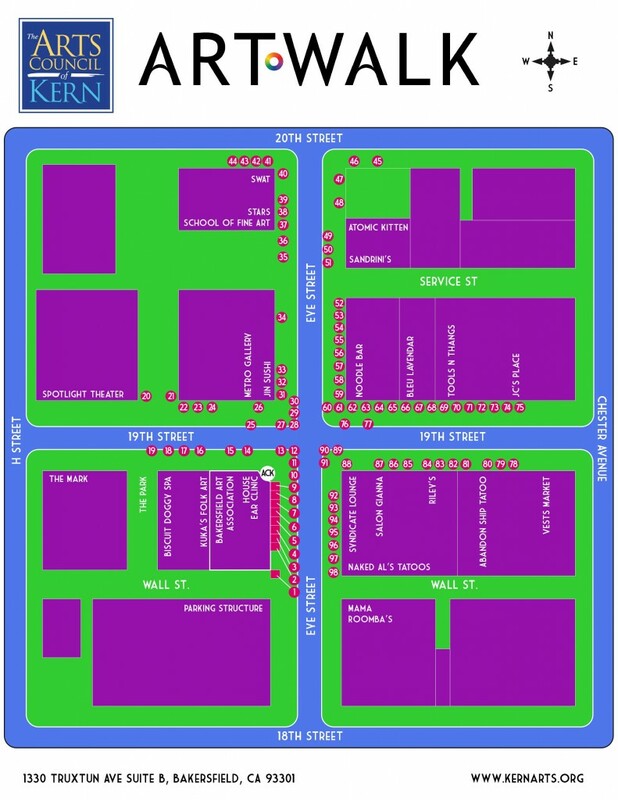 Attendees can park in the city parking structure at 18th at Eye Streets by accessing the 18th Street entrance/exit or at other open spaces within the ArtWalk footprint. Vehicles still parked within the prohibited areas after 2:30 will be subject to citation and/or towing by Bakersfield Police Department.